Is Plain Old Kale the Ultimate Hangover Food? 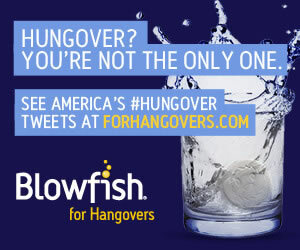 When you have a hangover, what types of food do you like to eat in an effort to make yourself feel better? A loaf of bread to soak up all of the leftover alcohol? How about deep-fried canaries like the ancient Greeks and Romans? Well, what if you found out that plain old kale could do the trick and leave you feeling better no matter how many beers, glasses of wine, or fruity drinks you consumed the night before? Manfred Kopf, a professor at ETH Zurich’s Institute of Molecular Health Sciences, got together with other researchers and conducted a study using mice to see what effect, if any, they could create upon the cells that usually die off as a result of oxidative stress. This is important to hangovers because oxidative stress contributes to the negative symptoms commonly associated with consuming too much alcohol. In fact, oxidative stress is connected with a number of diseases as well. Therefore, finding a way to ease this particular cellular action is not only beneficial after you’ve had too much to drink—it can also improve your overall health and wellness. Anyway, getting back to hangovers specifically, what Kopf and his group found is that it was possible to “save the immune cells from cell death” by feeding the rodents vitamin E in high doses. And guess what vitamin is in kale? 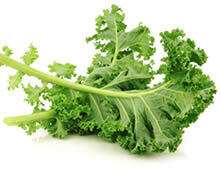 Vitamin E.
Kale also contains various B vitamins (B1, B2, B3, B6, and folate) which are said to help a hangover as well, due largely to the fact that drinking in excess usually depletes these particular vitamins. Additionally, it has a large amount of vitamin C, which is another nutrient that has been found to reduce the oxidative stress on your liver, making this one health food pack double the punch against a hangover that is lowering your quality of life. Certainly, even Kopf admits that it is unclear if the same positive effects would be found in men and women as he found in mice, but when you feel bad after having one (or twelve) too many cocktails, it may just be what you need to feel human again. So, bake it in the oven with some sea salt and eat fresh, warm kale chips, throw it in a salad, or blend it into a refreshing smoothie or juice. Whatever route you go, it looks like kale just might be the ultimate hangover food!